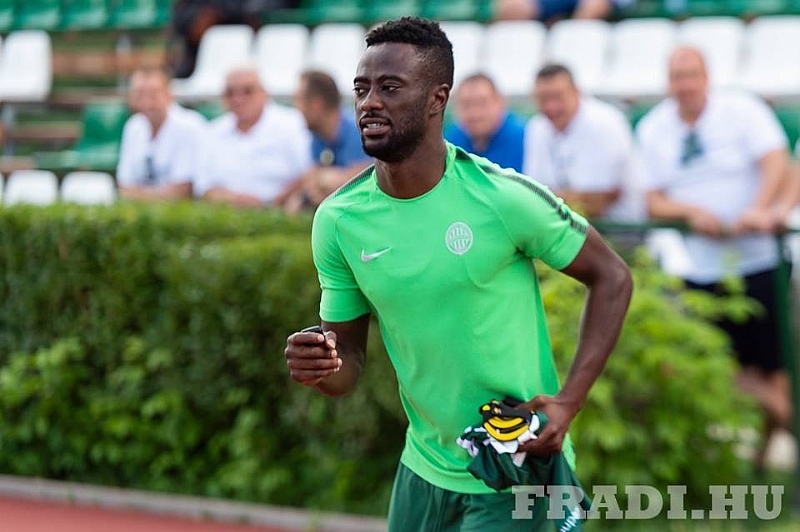 Ghanaian defender Abraham Frimpong returned from a long injury layoff to cameo for Ferencvaros as they defeated MTK Budapest 2-0 in the Hungarian top-flight league. The silky guardsman has been sidelined since suffering a head injury in Ferencvaros 4-1 victory over MTK in the first round of the Hungarian elite league in July. Frimpong consequently missed ten league games and two cup games as the Green and White lads continue to soar high in the Hungarian league table. Ironically, returned to the pitched after four months to face the same opposition he suffered the injury against to Ferencvaros claims maximum points. Frimpong replaced Stefan Spirovski in the 87th minute with the win already wrapped up following first-half goals from Lukacs Bole and David Siger. He has amassed six appearances in all competitions for the side as they sit atop of the league standings with 30 points after 13 games.